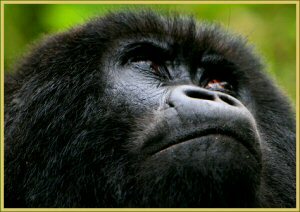 Bwindi is found in south-western African country on the sting of the western vale covering 331 sq. kms. It’s one amongest the most important natural forests in East Africa, supporting sizable amount of plants and animals not found elsewhere within the continent. The park is found amidst glorious forests within the extreme finish of south western African country, across the steep escarpments of the western valley, Bwindi is the solely park within the world that is known for harbouring nearly half the world's vulnerable gorillas. There are currently only 650 left within the world! it's worthy for you to encounter one cluster of habituated gorillas believed to be the origin of mankind; the most well liked attraction in African country today! The forest is additionally a surround for over eighty species of mammals, different primates and 346 species of bird life of which almost 90th of them are endemic to East Africa. Performances by the native communities within the evening around Buhoma are worthy to envision or cultural village walks to satisfy and interact with the native communities are optional activities to be done. There are several selections of accommodation: The volcanoes (High end/luxurious accommodation), Buhoma Homestead, Gorilla gorilla resort, Mantana tented camp, Gorilla gorilla forest camp, Lake Kitandara Tented camp.